With the continued rise in demand for skilled healthcare professionals, the College of Allied and Medical Sciences’ goal is to produce graduates who become licensed and highly skilled professionals with the knowledge, mental fortitude and skills to be competent in their chosen fields not only in the Philippines, but also in the global workplace. The College has invested in developing its facilities to foster a setting where students are equipped with the nec¬essary academic comprehension of their chosen fields of practice as well as exposure to actual laboratory and clinical situations in order to create a well-rounded learning experience. The University of Batangas College Of Allied Medical Sciences believes in imparting quality allied medical education while inculcating a high regard for human dignity and improving quality of life. We envision to be the college of choice in allied medical sciences within the region, producing highly qualified and competitive professional in the local and international community. The College of Allied Medical Sciences provides quality education, producing intellectually competent and research-oriented skilled professionals, committed to efficient and effective service of its countrymen. 5.	promote better understanding of the roles of rehabilitation sciences in the community. BS in Physical Therapy (BSPT) Bachelor of Science in Physical Therapy is a five year degree pro­gram. It aims to produce licensed physical therapists competent to care for patients in various settings for different populations. Lifelong learning, research, evidence based practice and con­tinuous professional development are central to its continuous pursuit for excellence in the field. The B.S. Physical Therapy Program of the College of Allied Medical Sciences provides quality education aimed at developing competent, skilled, ethical, research-oriented and evidence-based practitioners cognizant of the physical, functional and psychosocial needs of the society. The B.S. Physical Therapy Program of the College of Allied Medical Sciences is envisioned to produce qualified and licensed professionals. The B.S. Physical Therapy Program of the College of Allied Medical Sciences aims to produce qualified and licensed professionals who are research-oriented and evidence-based lifelong learners responsive to the changing needs of society..
BS in Respiratory Therapy (BSRT) Bachelor of Science in Respiratory Therapy is a four-year program that aims to produce licensed professionals who specialize in the promotion of optimum cardiopulmonary function and health. Respiratory therapists apply scientific principles to prevent, identify, and treat acute or chronic dysfunction of the cardiopulmonary system. 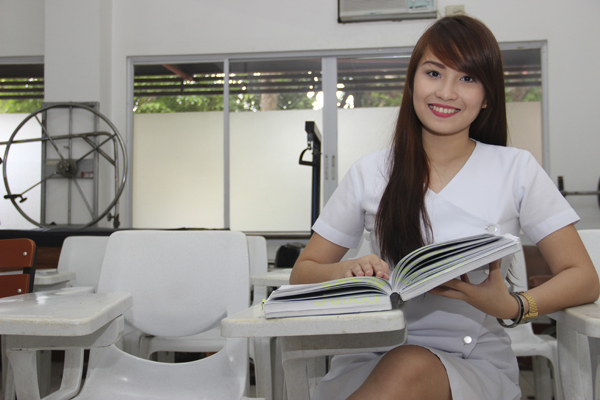 BS in Occupational Therapy (BSOT) Bachelor of Science in Occupational Therapy is a five year degree program. It aims to produce licensed occupational therapists that can fulfill the different professional roles in health care provisions in the assessment and treatment of physical and psychiatric conditions using specific activity to prevent disability and promote independent function in all aspects of daily life. The B.S. Occupational Therapy Program of the College of Allied Medical Sciences provides quality education aimed at developing competent, skilled, ethical, research-oriented and evidence-based practitioners cognizant of the physical, functional and psychosocial needs of the society. The B.S. Occupational Therapy Program of the College of Allied Medical Sciences aims to produce qualified and licensed professionals who are research-oriented and evidence-based lifelong learners responsive to the changing needs of society. Hilltop Road, Batangas City 4200 Philippines.